Chef Jacques Pepin’s story—which encompasses his contributions to the profession of cooking, food television, and the very way we eat today—is a tale even his legions of devoted fans may not be familiar with. 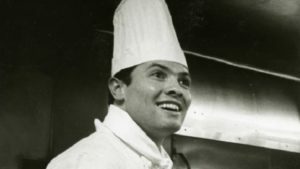 Discover the story of a young immigrant with movie-star looks and a charming Gallic accent, who elevated essential kitchen techniques to an art form to become one of America’s most beloved food icons. On CPTV: Friday, May 26 at 9 p.m.